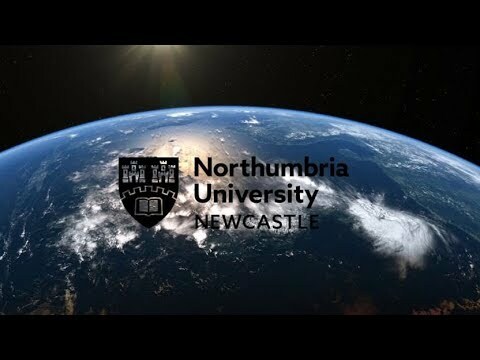 At Northumbria University, Newcastle we empower the innovators, visionaries and change-makers of the future. Research-rich, business-focused and professional, we have a growing international reputation for outstanding academic research and teaching. Northumbria University is among the top 150 universities aged 50 years or under in the world (THE World University Rankings) and was shortlisted for Times Higher Education University of the Year Award 2017. Northumbria University’s research academics collaborate with students, alumni and international partners to carry out world-class research, tackling tomorrow’s challenges today. Together we are fighting disease, helping people live longer, protecting our planet and transforming lives. We are making a remarkable impact on the world. We encourage academics to pursue new thinking and forge new partnerships through a multidisciplinary approach to research. We provide a supportive, networked community, attracting some of the best researchers from around the world. Our pioneering research is set within a real-world context. Impact is at the heart of our work. In the 2014 Research Excellence Framework (REF) Northumbria University ranked top 50 in the UK for research power, demonstrating the biggest rise in research power of any UK university. We attract impressive research partners such as Unilever, GlaxoSmithKline, Nissan, Kellogg’s and the NHS, and have a track record in securing research funding nationally and internationally. With a Silver award in the new Teaching Excellence Framework (TEF), Northumbria University delivers high-quality teaching, learning and outcomes for our students in a research-rich learning environment. We are committed to providing targeted and effective support to students to ensure they achieve their full potential. We offer a range of academic, support and wellbeing services, graduate start-up and careers assistance, as well as outstanding facilities and resources. We are ranked 1st in the UK for graduate start-up businesses, based on turnover. Since 2009, Northumbria has supported the development of more than 200 graduate companies which employ over 1,000 staff and have a combined turnover of more than £80 million. We are equipping our students to tackle tomorrow’s challenges head on and to lead the way forward in a changing world. With more than 30,000 students, Northumbria is one of the largest universities in the UK, offering a wide variety of high quality undergraduate and post-graduate programmes, either on a full-time, part-time or distance learning basis. Northumbria University is situated in the city of Newcastle upon Tyne – named as the Rough Guide’s Best Place to Visit in 2018. Regularly cited as one of the UK’s best student cities (WhatUni Student Choice Awards/MSN Travel Guide), Newcastle is large enough to be vibrant and exciting while small enough to feel like home. And with Newcastle’s native ‘Geordie’ population known for their friendliness, you will be sure of a warm welcome when visiting the city. Northumbria University’s student facilities are among the best in the country, ranked in the top 15 in the UK (THE Student Experience Survey). We have invested over £270m in our estate over the last three years and achieved a 5-star ranking in the areas of Teaching, Employability, Internationalisation, Facilities and Inclusiveness in the QS Stars University Ratings. Northumbria University has an international community of more than 3,000 inspirational staff from over 50 different countries. When you join Northumbria, you become part of a progressive, dynamic and innovative institution with genuine global ambition. At Northumbria University, we are looking for people who share our vision and goals, who want to transform lives and make a powerful cultural and economic impact regionally, nationally and internationally. Working at Northumbria offers you the opportunity to make a difference. Whether you are an inspirational academic delivering excellent teaching and research, or a member of our talented professional support staff, you will help drive Northumbria’s exciting, ambitious plans for the future.